• All our juices are designed under advice of medical doctors and nutritionists. metabolism, gender, physical activity, and age. • We never add water to dilute our juices. We only use ORGANIC, all fresh, all natural ingredients. • your customized cleanse is prepared, in most cases, only an hour before pickup or delivery! • Your juices are not pasteurized and certainly do not contain any preservatives. You will receive SEVEN amazing organic juices to help you hydrate, and detox your system. a great weekly or monthly follow up to a 3-Day, 5-Day, or the 10-Day plan. 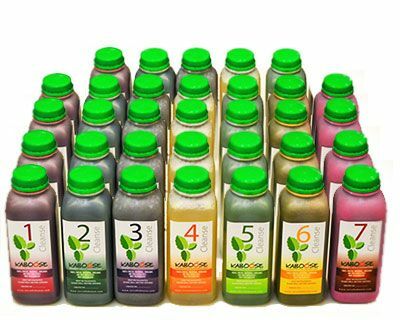 You will receive 14 super organic juices and elixirs which are guaranteed to enhance your immune system and other body functions. You'll feel hydrated and light. 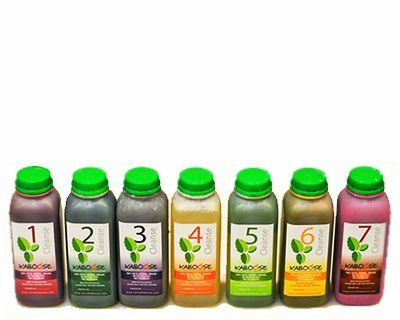 Your juice cleanse package is bottled, and numbered for your convenience. Your juices are not pasteurized and certainly do not contain any preservatives. For three days you get a total of 20 amazing, supercharged, delicious juice mixes. We teach you what to do after you finish your cleanse. In addition to all organic juices and supplements, you will also receive an all organic garden salad. You'll receive 18 amazing organic juices and elixirs. 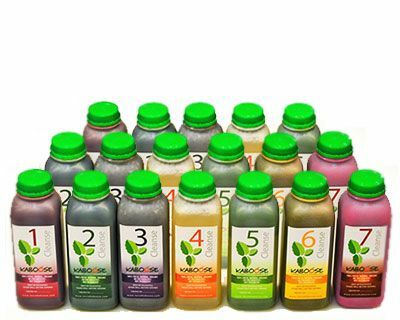 Our juice cleanse is specially designed to provide your body with all essential nutrients, in steps and hour-by hour basis. Most importantly, your cleanse is prepared, in most cases, only an hour before pickup or delivery! 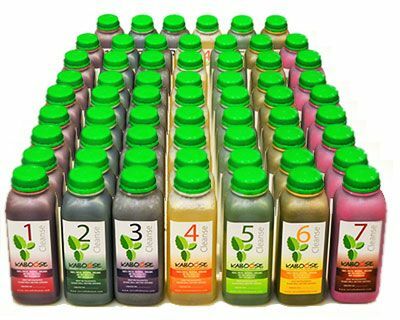 A combination of 33 amazing organic juices and elixirs plus 2 organic salads in a span of five days. Most nutritionally balanced detox. 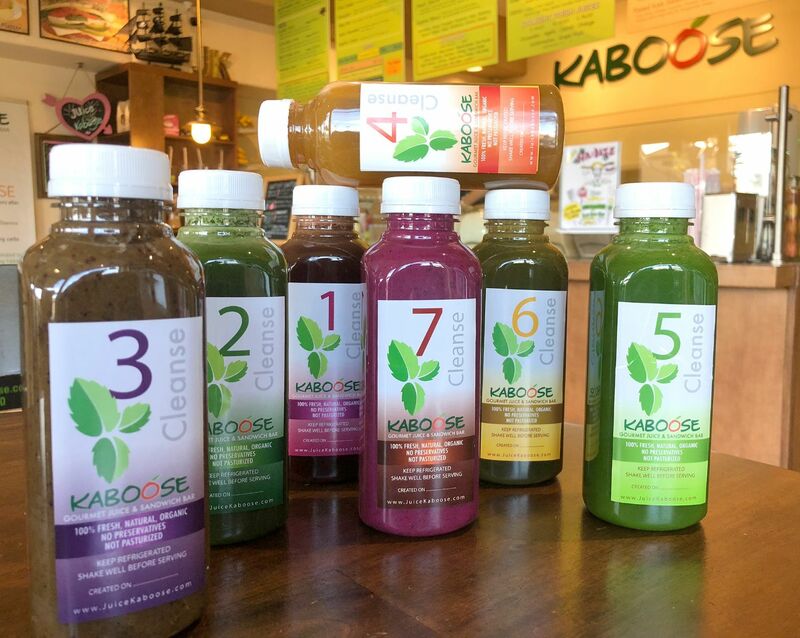 There are added herbs, spices, algae, and ingredients that are simply absent from our competitors' cleanses. You'll get 62 juices and Four organic salads every two days delivered to you in a span of 10 days. Your juices will vary in intensity and ingredients every day. a brochure that explains each and every juice is included. The juice cleanse orders must be placed at least one day (24 hrs.) in advanc. 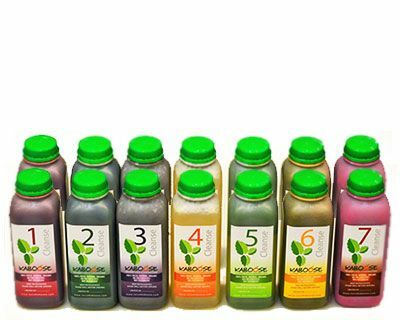 If you require a juice cleanse sooner when shopping online please contact us and we will do our best to meet your needs. Free delivery is available on select cleanse packages. All deliveries must be within 5 mile radius of 92037 and 92109 zip codes. There is a $10 delivery charge per delivery per day. Customers who select delivery in the drop-down menu must provide accurate email and street addresses. All deliveries are made on the cleanse startup date, unless a different arrangement has been made. Please, contact us if you should decide to have your juices picked up at store locations instead. Almost all juices are customizable. Communicate any medical conditions and/or allergies with your Kaboose representative.